Hi And thanks for reading this thread. Can you recommend a compression horn driver for use as a tweeter, from 5khz up to 20khz. No conventional compression driver is going to be at its best in your intended frequency range. Use a dedicated UHF driver with integral horn, like e.g. a ring radiator. If you want to stay with JBL, there's the 2405H, for instance. Same situation just with 2445 mids. BMS 4526HE on a BMS 4528 horn. I run the JBL 2441 on wood horns with the big *** Heil from 7khz on up. By the way, the big Heil is a horn. 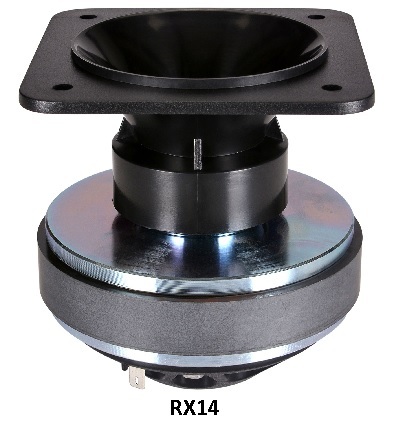 "Driver mounted on a 1" 50° x 40° Horn" - its that's the little aluminum tractrix, then I've a pair. at Partsexpress, and would be fun for things like a fake "Druid" arrangement. Last edited by freddi; 3rd October 2017 at 08:17 PM.